Gabriela Jonas Aharoni received an MA in Communication and Journalism from the Hebrew University of Jerusalem, and a PhD from the Faculty of Arts’ Interdisciplinary Program of the Tel Aviv University. She is a Lecturer at the Cinema and Television School and in the Department of Liberal Arts and Sciences, Sapir College, and teaches Communication at the Eshel Hanasi. Prior she has worked as a journalist in Rosario’s La Capital, the oldest Argentinean newspaper still in circulation. 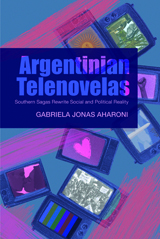 This work explores the way in which telenovelas (TV serial dramas) give voice to contemporary and historical Argentinian social and political issues. Telenovelas have multiple layers of socio-cultural message – local as well as global – and are invariably laden with appealing drama and emotion, and sometimes comedy. The discussion focuses on how telenovelas reflect society’s perception of, and adjustment toward, issues of globalization. They are a means of portraying how individuals and families rationalize and incorporate rapid social and economic changes. 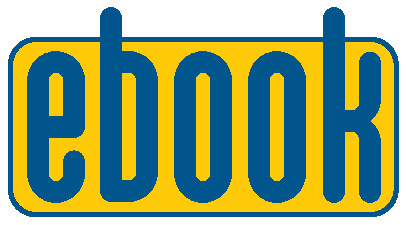 The book explores how telenovelas might offer a subversive interpretation of reality; or provide a channel of dialogue with the government’s political aims. The author challenges the assumption that they are merely a reflection of historical, political and social circumstance. One of the many telenovela examples addressed in this book is whether the serial Padre Coraje constructs a parallel between the current Kirchner government and that of Juan Perón, fifty years earlier. The serial explores the two leaders’ relationship with the Church and implicitly presents President Kirchner as Peron’s successor. Explaining telenovelas as cultural texts (they are not soap operas) provides the primary basis for this study, backed by Argentinian newspaper articles and secondary sources on Latin American history, culture and economy, as well as TV and cinema studies. The result is a more profound and nuanced interpretation than hitherto of Argentinian telenovelas. Analysis enables identification of the links between the serials’ storylines and contemporary political and social events. These popular culture texts bring new meaning to the Argentinian historical narrative, and for TV viewers puts the processes and effects of economic and social globalization on a local multi-cultural level perspective. Aharoni’s book is a solid contribution to the study of Latin American popular culture, and to the study of cultural globalization.